Ive had the privilege of knowing Mike for many years. I stopped to check out his selection and was introduced to his and wife Jess. there both awesome people Jess helped my wife and I thru the financial process. and answered all of our questions honestly about the Jeep we purchased. I'll definitely be recommending them to my friends. At Nextcar Sales & Service we are proud of the quality used cars we sell and our dedication to serve the needs of our customers. This is reflected in the amount of repeat business we receive. Whether this is your first purchase with us or one of many that you’ve had, you can count on our dedicated sales staff to make it the best buying experience possible.  If you're looking for a great deal on a pre-owned car, Nextcar Sales and Service is the place to come. When you come to our used car dealership you will notice one thing up front; there is no pressure and we price our vehicles the right way. We do not mark our cars up really high to make a lot of profit off you. We mark our cars up from the purchase cost so we can afford to stay in business based upon the retail price and what the market says the cars should be priced at. I try my best to satisfy everyone that comes into the door and to make friends with each and every one of you. Our business has been growing and we have been selling cars at a fast rate. Our # 1 goal is to get you the car you want and we make sure it is the one that you need. I am not in the business to take your money and that's that. I am in this business to sell you a car that is hassle free, and you can grow as a person yourself. We strive to make each individual happy. Ask for me and I will make sure you leave here happy!! Have a Great day and look forward to talking to each and every one of you! 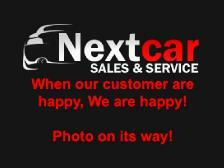 Thank you so much to Everyone at Nextcar for your excellent service: you truly went above and beyond. We were stranded in Effingham when our car died(engine seized) half way thru the first half of our cross country trip to visit our daughter in Colorado. We literally arrived on their doorstep with our dog, our luggage(even my bike: I was supposed to race in a triathalon in Kansas the next day) and all the stuff you take with you when driving across country. We looked like the invasion of the homeless.The staff not only found us a dependable vehicle, but they also directed us to a comfy motel to spend the night while they fine tuned it to make it safely to Colorado then back to the eastern most part of NY. While picking up the temporary tags at the DMV, several people told me they had bought vehicles from them and they were very honest which certainly made me feel better: I usually agonize over getting a car for months and making a sudden decision like this was very out of character for me(amazing what you do when it is a million degrees out , you are a thousand miles from home and you have no car). Not only did the car get us safely to my daughters the next day, but the owner called to make sure we were okay. We did make it safely back to eastern long island ten days later as well. Many thanks to all the folks at Nextcar! Bought a 2003 Chevrolet Impala in October great car and price. Great honest people to deal with!! Had a great experience! Just an update on this review! Not only do they sell cars but also do great mechanical work at a very reasonable price!! Very happy with them! Thank you!! I locked my keys in my car today, contacted nextcar, and someone came in less than 10 minutes and unlocked my car in less than 5! Great, speedy service! !